"This sort of climate change, in an area vulnerable to extreme changes, has had a nasty effect on the mental health of farmers. The biggest problem seems to be the uncertainty. Farmers don't know whether their crops will survive or be hit by a sudden drought or heat wave. They don't know whether storms will blow their now-dry topsoil away, ruining any chance for crops to grow. Ellis, in the study's release, said, 'So what we see in these dry seasons is that farmers will be checking forecast 10, 20, 30 times a day. They just don't know what's coming on the horizon, so there's a degree of anxiety about what is coming their way." Recent surveys - and my family's own experiences - are revealing similar feelings among California farmers and ranchers, resulting from the region's worst drought in 500 years. For me, at least, anxiety about the drought has given way (at least in part) to a sense of resignation and acceptance - perhaps because we've made such significant changes in the scale and nature of our operation. 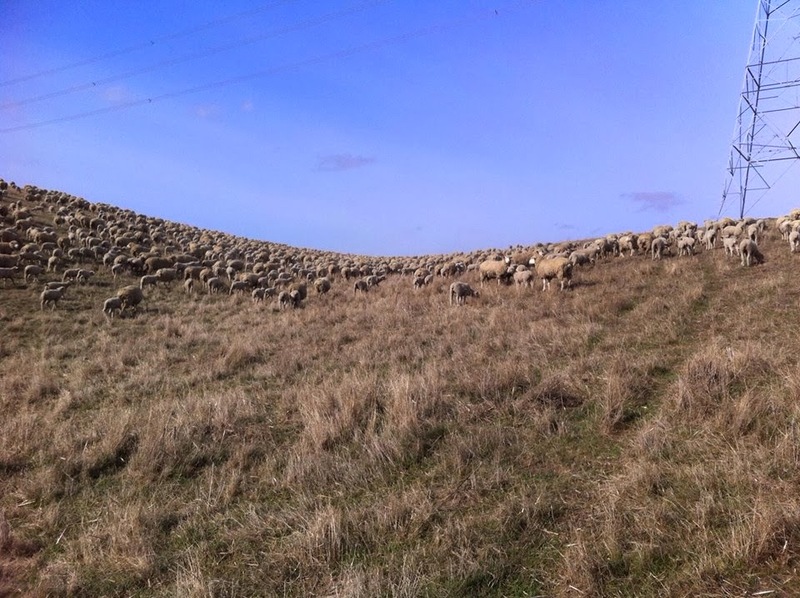 Coming into the drought, we had a flock of over 300 ewes - and our sheep business represented a significant portion of our income and my daily work. 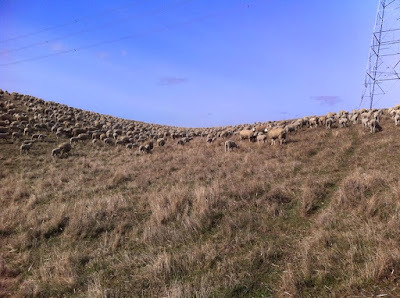 Today, we have slightly more than 60 ewes - and I have worked full-time off the ranch for the last several years. During the driest months of our now-four-year-old drought, I found myself checking multiple weather forecasts - looking for the one that held the most hope for precipitation. and green at this time of year. Other California ranchers, in recently conducted interviews, have directly cited the emotional toll that the drought has had on them. One rancher spoke of the "mental anguish" that resulted from selling animals and watching crops fail. Another said, "The drought has taken an emotional toll - you ranch because you love the land and want to make it better. It hurts to see the land going backward." These feelings, certainly, are not new to the current drought. Caroline Henderson, an Oklahoma farmer who wrote "Letters from the Dust Bowl" for the Atlantic Monthly during the 1930s, wrote, "Many a time I have found myself tired out from having tried, unconsciously and without success, to bring the distant rainclouds nearer to water our fields. I'm beginning to see how worse than useless is this exaggerated feeling of one's own responsibility." I suspect, had the Internet existed in the 1930s, that Ms. Henderson would have been checking multiple weather websites on a daily basis. In the Murdoch University press release about his research, Neville Ellis said, "The farms are more than just a business for these farmers - it's their home, their personal history. There is no escape if they have a bad day at work. Some I talked to had become completely disengaged from the predictions and the forecasts - they shut themselves off in their properties with the curtains drawn so they wouldn't have to face the realities outside." Caroline Henderson said it this way, "But of all our losses, the most distressing is the loss of our self-respect. How can we feel that our work has any dignity when the world places so little value on the products of our toil?" Like Henderson and the Australian farmers in Ellis' study, I find that my sense of identity is wrapped up in what I do - despite my day job, I see myself first as a sheep rancher. And while I love what I do "professionally," I can't help but feel that in having to sell sheep and take off-ranch work, I've failed in some way. As I write this morning, our part of the Sierra Nevada foothills has received close to normal rainfall for the season. We have snow in the mountains (unlike last January), and more rain is predicted for the coming 10 days. A "normal" winter has done wonders for my attitude (and, I suspect, for the attitudes of my fellow farmers and ranchers) - and yet the experience of the recent past continues to make me anxious.